Call for collaborations in the advanced workshop Interactivos? '12 Ljubljana: Obsolete Technologies of the Future, that takes place in September 5-15 in Ljubljana (Slovenia), 2012. 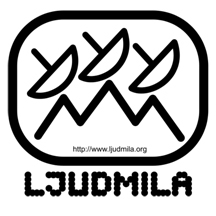 Ljudmila, media lab digital of Ljubljana, in collaboration with Swiss Mechatronic Art Society of Zurich and Medialab-Prado organize this Interactivos? '12 Ljubljana. Collaborators will participate in the production of the six selected projects. The workshop will be dedicated to explorations of Obsolete Technologies of the Future, collaborative prototyping vol. 1, rethinking the qualities of outdated technology and making way for a long-term, sustainable usage of technology in our environment in the decades to come.